Using a coalition to achieve a particular legislative objective is not a new idea; however, it is used effectively by only a small number of government relations practitioners in Maryland. We believe in the value of coalitions for the right client and the right issue. 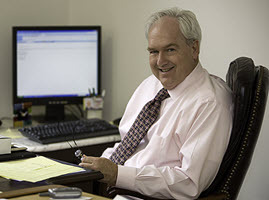 In recent years we have created for clients the Retirement Planning Coalition (state-run retirement legislation), the Protect Employer Health Plan Coalition (stop-loss insurance for health plans for businesses), the Commercial Premium Notice Coalition (notices required for business clients of commercial insurance companies ), and the Single Sales Factor Coalition (changing Maryland corporate income tax). With the volume of legislative proposals increasing each year – there were 2,800 bills introduced during the 2017 Maryland General Assembly – a major challenge is simply getting the attention of elected officials. One way to accomplish this is to establish a coalition of businesses, organizations or individuals around a single issue. A coalition can break through the background noise to get the attention of legislators on that issue. This is a proven method to achieve success with a specific legislative initiative – in other words, to have that legislative initiative either enacted or defeated. The firm has been successful in establishing and guiding coalitions for the benefit of its clients. Once an issue is identified, a position established, and legislation drafted, we assist the client in recruiting other organizations to create a coalition. Such coalitions, formed for the specific purpose of advancing a specific legislative initiative, can often be more effective than lobbying by either an individual entity or a trade association. When combined with the additional tools as member advocacy, public relations campaigns and professional lobbying, coalitions are effective vehicles to reach a particular legislative goal. Click on A Case Study in Lobbying to learn more about Coalitions we have created and managed.